Upgraded for 2019 including a new drive unit! 2019 brings the new Shimano STEPS e6100 motor, full length mudguards and integrated lights as standard! Couple this with a Lightweight carbon fork: the Clifton takes commuter e-bikes to another level. Significantly, Whyte had been considering launching an electric bike for a number of years, but decided to hold off till e-bike technology came of age. Tektro Auriga Hydraulic disc brakes offer all the benefits you look for in quality hydraulic disc brakes. We believe that Whyte are the only company in the bicycle industry who build every hydroformed aluminium frame with custom drawn tubing. This means that Whyte go to the expense of spec'ing a different tube set for each frame size. 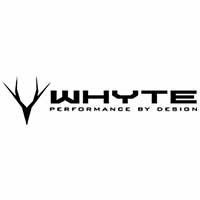 Custom tubing is Whyte's guarantee that their frames will be as light as possible in every size. Whyte are famed for getting their frame geometry just right, to ensure you feel confident and centered on the bike. So it goes with the Whyte Clifton. Its road bike-like seat tube angle (73.5 degrees) positions you over the cranks for maximum pedalling efficiency. Its comparatively shallow 70 degree head tube angle makes the bike reassuringly stable, especially on downhills. The happy result is a bicycle that rides like its a natural extension of your limbs. 'Using Shimano’s STEPS e-Bike Drive Unit the Clifton is able to take advantage of the pedal assist without compromising the weight distribution and therefore the handling.